An alert reader, as Dave Barry used to say, brought this R-G story to our attention. It’s about a woman accused of running cyclists off the road out on Lorane Highway last summer. She was recently convicted by a jury on counts of reckless driving and reckless endangering and was sentenced to 20 days in jail and a 3-year license suspension, according to the R-G.
On Thursday (April 26) you can learn how to fix a flat and do some other basic bike maintenance — and drink beer at the same time. I don’t know about you, but I’ve always thought that few things go better with fixing flats than drinking beer. 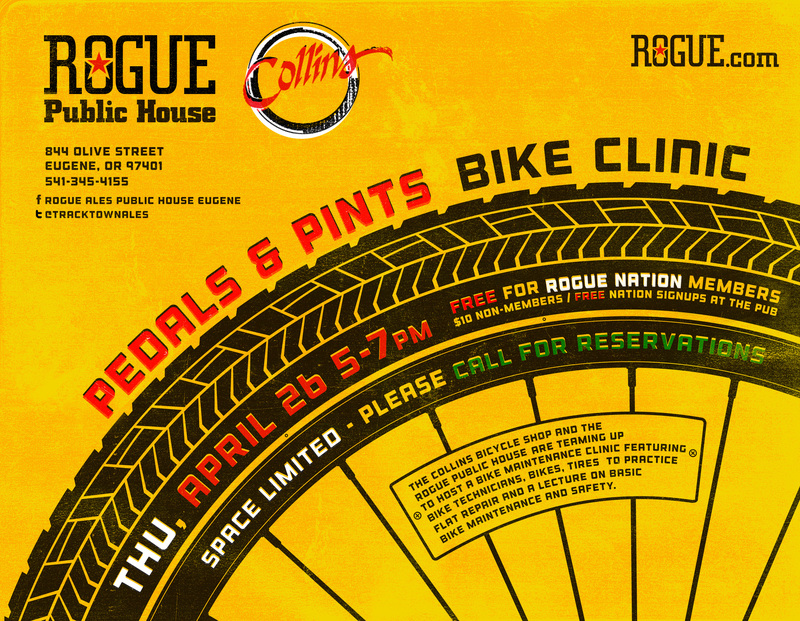 The clinic will be at Rogue Public House, 844 Olive St., from 5 p.m. to 7 p.m. It is co-sponsored by Collins Bicycle Shop. It’s free if you are a member of Rogue Nation (free sign-ups at the pub) or $10 for nonmembers. Space is limited, so you are supposed to call ahead for reservations: 541-345-4155. Eugene Police are seeking additional witness information in a second degree assault/DUII hit and run case that occurred Feb. 19, in front of Market of Choice, 1960 Franklin Blvd. The suspect in that case, Eric Michael Garcia, age 25, of Eugene, was driving a maroon Pontiac Grand Am in the area at around 10:25 p.m. and struck a 44-year-old Eugene male bicyclist from behind, while he was in a bike lane. (the victim’s name is being withheld). After the crash, he continued driving eastbound on Franklin for more than a mile before he was contacted in Glenwood, where he was determined to be intoxicated. The victim was taken to a local hospital and treated non-life threatening injuries. Garcia was arrested and charged with assault in the second degree, DUII, hit and run felony, reckless driving, hit and run misdemeanor, driving without a license, and criminal mischief in the second degree. Police are hoping to get information from any additional witnesses to the crash, Garcia’s vehicle and driving behavior and activities and locations between 6 p.m. and 10:30 p.m. that night. Preliminary information was developed that he may have been drinking downtown, possibly at the Jazz Station at a birthday party. Anyone with relevant information … is asked to contact Officer Michael Klews at 541-682-5138. Here’s a great link spotted on the GEARs e-mail list-serve for those of you who may want to ride the Old McKenzie Highway this year before it opens to car traffic. You can sign up for e-mail alerts on when the road will open. Last year, it opened to walkers and cyclists on June 22 and it was about three weeks before it was opened to cars. Remember the Bike Pedestrian Master Plan? I do. I think I first posted about it 18 months ago or so. Somehow I missed the most recent development, but the plan in its final form was adopted by the Eugene City Council back in March on a unanimous 6-0 vote (councilors Mike Clark and Betty Taylor were absent). If you want to check out the plan, download a copy right right here. If perhaps you have had too much coffee this morning, you can participate in the process: go take this survey or perhaps this one or even this one. Bicycle Pedestrian Master Plan addendum: Capstone! [The city] will add a comprehensive study of the corridor connecting the downtown and the UO to the Pedestrian and Bicycle Master Plan when it goes through the adoption process as part of Transportation System Plan adoption. 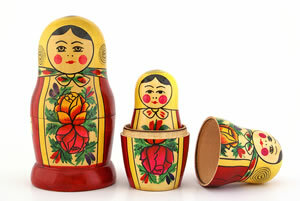 I think if we just pulled together a strategic plan on how to incorporate some of those plans inside plans inside plans we could really see some amazing actions… or at least find a jelly bean inside there somewhere. I really really really want to know how an arrest & prosecution happened with the woman who ran people off of the road on Lorane happened.. I know that once you’ve had an “accident” you can get the police to show up – but why did they care in this instance? Did she pull Dr. Thompson and say something to the cop about teaching them a lesson? I missed the Old McKenzie Hwy ride last year, so I really wanna get out there this year. Working on bike infrastructure to get between downtown and campus is a very good thing. It’s astonishingly convoluted and unsafe right now with all of the one way streets – there really should be a dedicated bike infrastructure equivalent to the EMX that lets bikes move rapidly and safely between the two areas. Maybe eventually connecting all the way to the Whiteaker District. I’ll see if I can get some more details on that case. Thanks for the clarification, Reed. We do aspire to the utmost standards of accuracy around here. We will eagerly await the formal adoption papers. Yes, I’ve been browsing it. And hope to post more about it.